Fortis™ Aluminum Decking is a deck board with a hidden fastener system that creates a beautiful, low-maintenance surface that functions similar to traditional deck and porch flooring. Fortis differs from traditional applications, though, with its durability and its ability to resist rot, warping, or chipping. 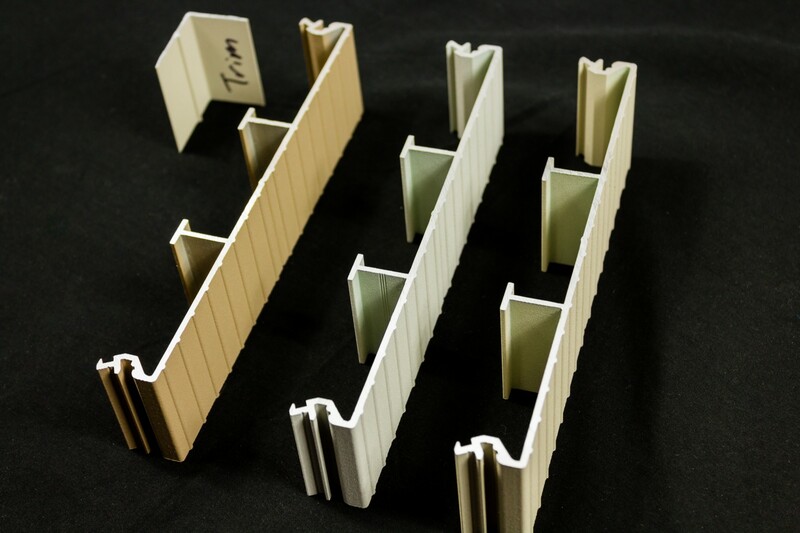 The Fortis Sample Kit contains board samples in all three colors: sandstone, granite, and artisan clay, along with a sample of the Fortis trim.